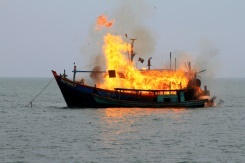 Indonesia sank 34 impounded foreign boats, the government said, the latest bid to deter vessels from illegally fishing. The empty boats from Thailand, Vietnam, Philippines and Malaysia were sunk as part of events to celebrate 70 years since the proclamation of Indonesian independence. Independence day fell yesterday and was marked by nationwide celebrations. 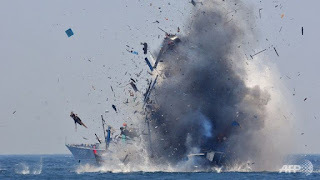 All the vessels, which were blown up or scuttled at several locations across the archipelago of more than 17,000 islands, had been seized illegally fishing in Indonesian waters. 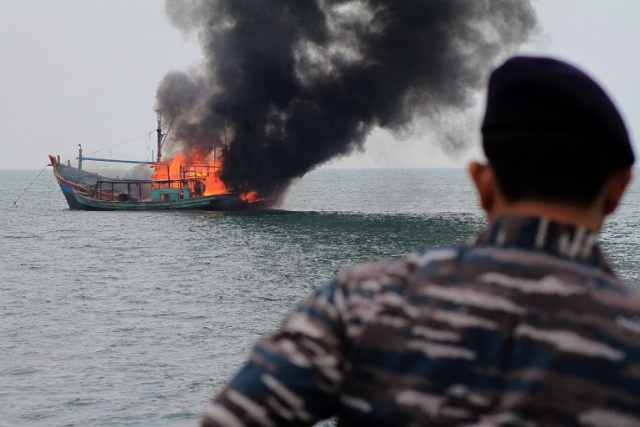 Four Indonesian boats that had been caught fishing without correct documents were also sunk.